Membership is open to anyone interested in quilts or quilting. Annual dues are $20, or $15 for seniors age 60+, payable in August. If joining after January 30, dues are half price. Students age 10-18 may join for $10 with paid adult membership. Members receive a monthly newsletter, a directory of members, use of the guild library, and they enjoy monthly meetings and workshops. Also, some area quilt shops offer discounts to guild members who show their membership card. 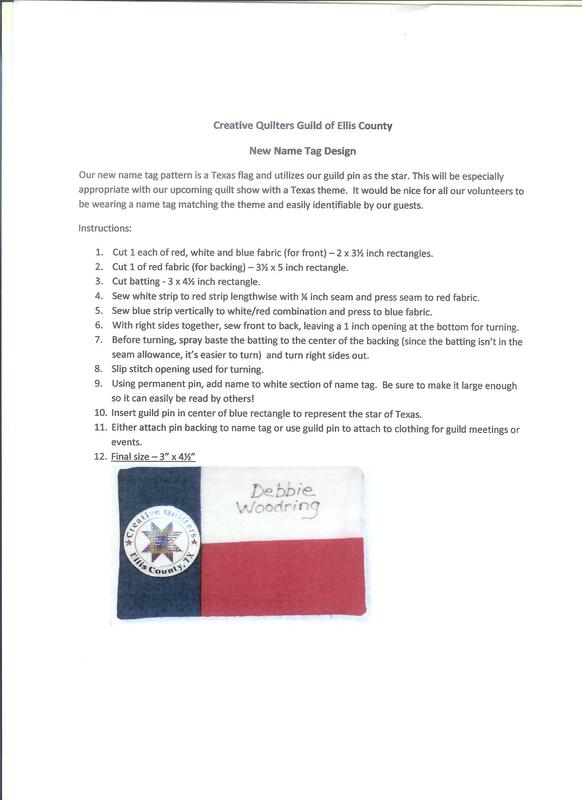 In addition to the above benefits, Creative Quilters Guild joined the Texas Association of Quilt Guilds in 2005. TAQG annually sponsors a “Rally Day” held in July. Rally Day activities include a presentation by a nationally-known guest speaker, a miniature quilt auction (to defray costs of the rally), a “goodie bag” filled with gifts from Texas member guilds and quilting businesses throughout the state. As members of TAQG, our guild members can attend the rally at no charge. If you would like to become a member of our guild, please complete the registration form and mail it along with your dues to the address on the form. For more information you can contact a guild representative by going to contact us button on this web site. of each month at 7pm. Social time is from 6:30pm to 7pm.